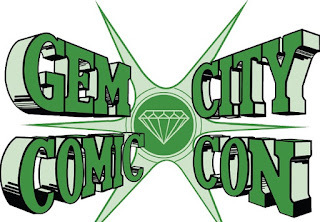 Champion City Comics artist and writer, A. Kaviraj, is a fountain of knowledge when it comes to comics. In this article, he gives you a little bit of a "Did you know?" article with a dash of a "How superheroes defy the laws of physics" article. Did you know that in the original Superman comics everyone on Krypton had super powers because they were an advanced race? 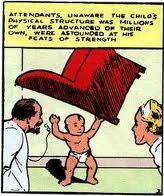 It wasn't Earth's weaker gravity and the Sun that gave Superman his powers - he already had them. Also, his suit was normal Earth cloth that he 'treated with chemicals' to make it heat resistant. He worked at the Daily Star. There was no Jimmy Olsen. When he tried to join the army, the doctor's needle kept snapping and all this medical genius said was, 'This man has incredibly strong muscles'. In the orphanage he was tossing cribs around and years later when he became Superman no one from the orphanage stepped forward and said, 'Hey, that must have been that kid who tossed around cribs that the Kents adopted'. There were no super-villains, just mobsters, grafters and cheaters. He helped a race car driver who was down on his luck by pushing his car at super speed to win the race. OK, he cheated so let's just call it like it was. So, if someone else fixed a race, Supes would demolish them, but when he wanted to cheat it was OK. He even killed people. 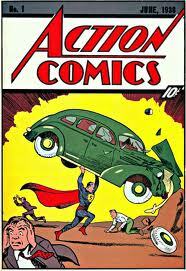 Superman has had over twenty different "S"symbols, one of which only appeared once-on the cover of Action #1. That's right, the logo on the cover was different from the one in the story. DC is still tweaking the Superman logo. Guys-take a tip from The Donald: it's all about BRANDING-stick with one logo! Batman's logo changes sometimes with each new artist. Flash-now there's a stable logo. 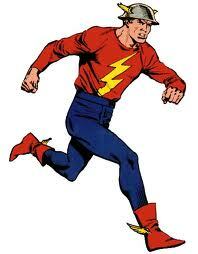 The original Flash-Jay Garrick-wore a metal pie plate on his head and it never fell off once-I put a similar pie plate on my head and tried to just walk and it fell off almost immediately. What was so sticky about his head??? The biggest problem with most superheroes is they defy the first law of thermodynamics. WHERE for instance does all the delta G come from when Johnny Storm flames on? He generates an incredible amount of energy, and WHERE OH WHERE does it come from? Superman gets his energy from the Sun? Really? If you successfully captured every photon scrap that struck his body you could maybe use the energy to spin a small fan. Pretty much every superhero except guys like Batman have this issue. Batman has other issues. Mainly that he's incredibly lucky when it comes to BULLETS. That's right I said it! Who else? 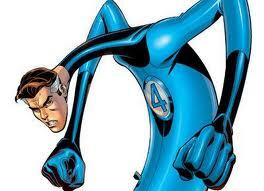 Ok, Mr Fantastic. If he can stretch that means he has no rigid bones. Which means he shouldn't even be able to stand. Also if he is stretching his arm forward, how exactly is this accomplished as muscles can only pull, not push? What is the motive force that pushes his arm forward? Hmmm? How does Ben Grimm go to the bathroom? Think about it. How does Spiderman STAND on the side of a subway train? "Oh, he has these little hairs that come out of his hands that make him stick to walls. Really? So those hairs go through his BOOTS? And his gloves? They would get stuck and I imagine rip out painfully like some Hannibal Lecter body wax when he took his gloves off then. What projective force propels his web across the street? Real spiders can't project their webs. Why doesn't Green Lantern carry a bucket of green paint around with him in case he has to deal with something yellow? This is simple common sense. 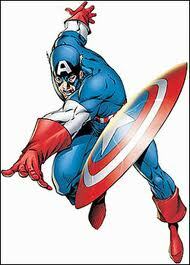 How does Captain America's shield change direction in mid air? An object goes straight once it's launched. How does Mystique gain extra body mass when she changes shape? Does she gobble a bunch of burgers first because I haven't seen her do that.